Today is National Celiac Disease Awareness Day. I know gluten-free has become a fad diet for some, but for those who suffer from Celiac Disease, a gluten-free diet is absolutely essential. My daughter has a wheat and gluten allergy, but does not have Celiac Disease for which I am grateful. 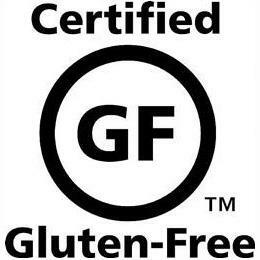 Living gluten-free now is soooooooo much easier than it used to be, however there are still challenges (B-Day parties, school functions, family parties, restaurants). So many times kids/people who need to avoid gluten are not able to eat the same fun treats other people are and it leaves them feeling like a bit of an outsider. For this very reason, my heart leapt when we were in Orlando recently. 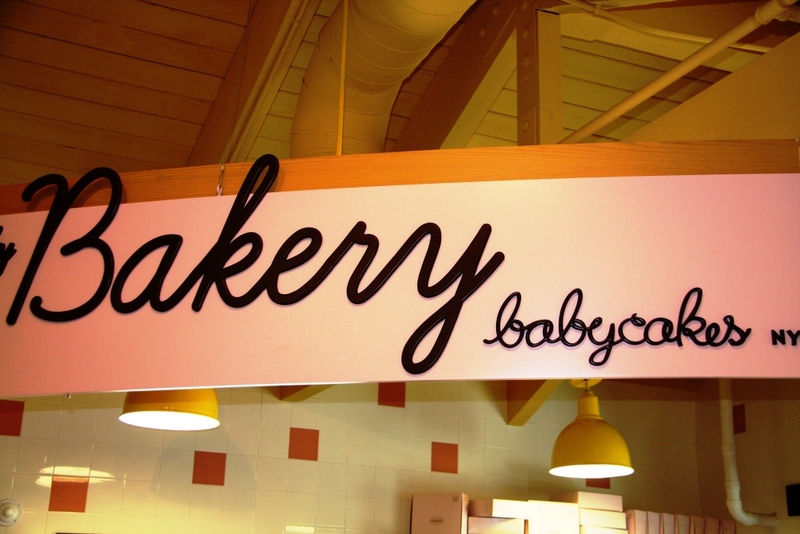 I knew that Downtown Disney had recently welcomed Babycakes Bakery (Vegan, Gluten-Free, Egg-Free, Soy-Free, Dairy-Free, & Kosher). 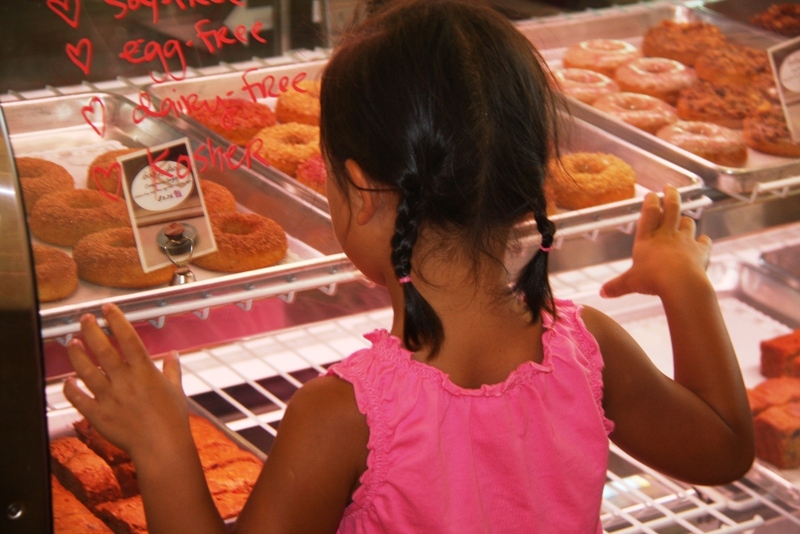 It was with such joy that I was able to tell my daughter, “You can have ANYTHING you want from this bakery!” She looked at me like I was on crack and then quickly became mesmerized by the goodies in the glass cases. We ended-up buying a cupcake, donut, and chocolate chip cookie sandwich. Great memories! Babycakes also has bakeries in NYC and Los Angeles. I also love my Babycakes cookbook and I hear Erin just came out with another cookbook, Babycakes Covers the Classics, that I am sure is fab. 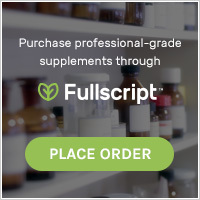 Are there any blogs or gluten-free resources that you use frequently and don’t see listed above? I’d love to hear from you. I made this recipe (from Elena’s Pantry…an awesome gluten free site) to accompany one of our dinners last week and we plowed through it…yum! I didn’t have any fresh ginger on hand, so I used powdered ginger and it still turned out great. Believe it or not, we ate 2 pounds worth of bok choy in one sitting, so I just doubled the sauce and saved some of it for later. 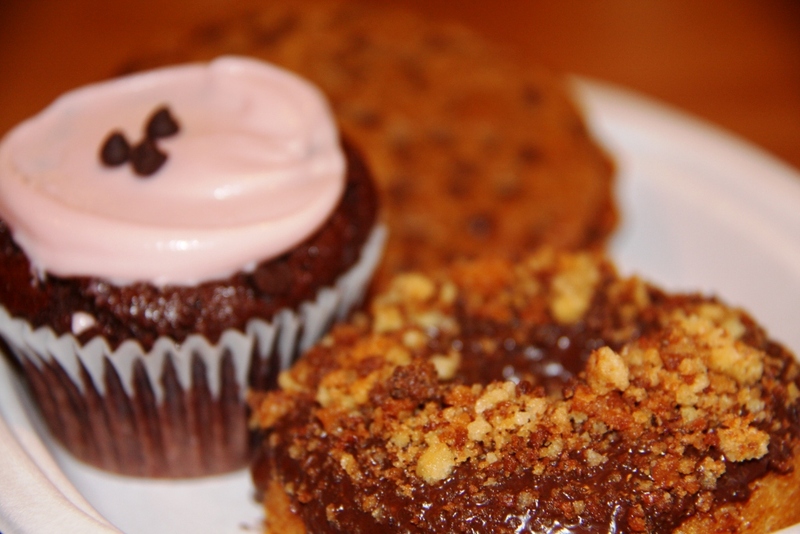 Elana Amsterdam of Elana’s Pantry is a gluten free cooking and baking genius. Her book, The Gluten Free Almond Flour Cookbook, is amazing! Elana was motivated to become gluten free when she and her son were diagnosed with Celiac Disease. To go to her blog click here. These crackers are vegan and gluten free, so I know you will love them. I’m a bit of a cracker-a-holic. I think the quest for crunchy food intensifies when one goes gluten free. So, I’ve made a habit of baking crackers at least once a week, if not more. However, many cracker thieves dwell in my abode. As quickly as I make crackers they disappear. Therefore, some weeks, the cracker quest continues day in and day out. Crackers made with almond flour (or in this case almond milk pulp, more on that in a minute) are highly nutritious and slightly addictive. They’re perfect with any number of spreads including Homemade Goat Cheese, Fig Tapenade, Sesame Dip or Savory Avocado Spread. These particular Almond Pulp Crackers are a bit of a recycled treat. I know that sounds odd, maybe even unappetizing, though let me explain. After I make Almond Milk I use the leftover pulp of the almonds to create these delicious, high fiber crackers. Seasoned with fresh thyme, they’re vegan, gluten free and super healthy. If you make them in your dehydrator (I don’t have one) they’re even raw. I bake mine in the oven on low to preserve as many of the live enzymes in them as possible, though because my oven doesn’t go lower than 135° technically they are not raw. Still, they’re good. To view the original post on Elana’s Pantry click here.